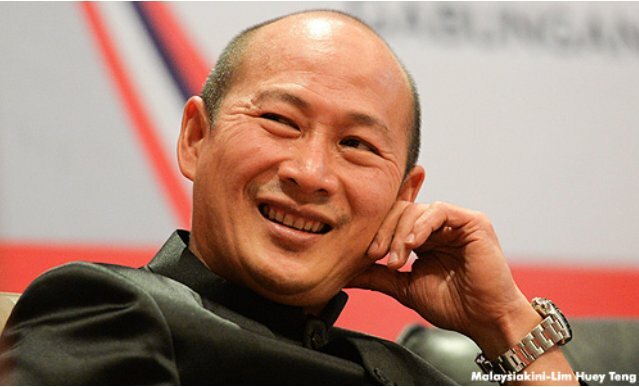 Criticized for wanting to be Malay, Ridhuan Tee insists that he will remain Chinese. As if he had a choice. 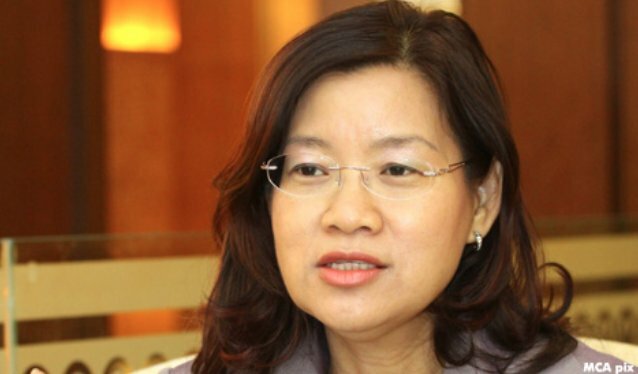 Tee denies being “more Malay than the Malays” in defending the Government’s agenda to promote the Malay language and Islam. PETALING JAYA: Scorned by detractors for being “more Malay than a Malay”, the controversial Chinese-Muslim convert Ridhuan Tee Abdullah insists that he is still very much a Chinese. This is after the Universiti Sultan Zainal Abidin lecturer resigned as a lifetime member of the MCA last month over the Barisan Nasional (BN) Chinese party’s opposition to hudud law. “I’ve said it before, I am Chinese and I was born Chinese, Allah made me Chinese. I will always be Chinese,” he was quoted in the Malay Mail online as saying. People pay attentions to what you do than what you say. Ridhuan Tee has been accused of being racist. He doesn’t get the point, does he? He is accused of being anti-Chinese! Controversial academic Ridhuan Tee Abdullah is glad that he quit MCA, which he accused of pretending to support the government to net projects. But when election season comes knocking, he claimed that the BN component party would partner DAP to oppose the Islamic agenda. “Apa lagi MCA (bukan Islam) mahu (What more does the non-Muslim MCA want)? Rights, properties, wealth? “In Kelantan, which wants to implement hudud, there is a big statue of Buddha despite worshippers being few in number. Where else can you find such tolerance?” he asked. The Chinese Muslim convert also pointed out that during his almost two decades of being a MCA member, the party never used him as a bridge to understand Islam. In his latest column in Sinar Harian, Ridhuan noted how MCA president Liow Tiong Lai claimed the party has 1.07 million members. “If this is true, why can’t MCA win in Chinese-majority areas against DAP? Why beg for seats in Malay-majority areas to win? “Malays are the ones who make MCA victorious, but MCA only cares for the welfare of its own race. Still not racist? Their English and Chinese newspapers have become the voice of DAP. The same goes for Gerakan and MIC,” he said. Wanita MCA chief hits out at controversial preacher for calling MCA “anti-Islam” saying the lecturer needs treatment and counselling. PETALING JAYA: Ridhuan Tee Abdullah should seek medical treatment and counselling as he obviously needs help, says Wanita MCA Chief Heng Seai Kie. Responding to Tee’s Sinar Harian column today, in which the controversial preacher described the “ultra-kiasu” MCA as being “anti-Islam”, Heng said she took pity on Tee. She said Tee was frustrated because both the Chinese and Muslim communities had rejected him for his extremism and misconduct. Infiltrated by the enemy but MCA leaders didn’t know. Now they should check their records and look for Ibrahim Ali’s name! Wanita MCA chief Heng Seai Kie has expressed surprise that controversial academic Ridhuan Tee Abdullah was once a lifetime member of the party. At the same time, she is relieved that he has decided to quit MCA. “Otherwise, having an extremist and racist figure like him could render the party in the aftermath of ‘api dalam sekam’, that is, Malay proverb meaning malice that is carried out clandestinely, which will be a real shame to MCA, BN and the whole nation,” she said. 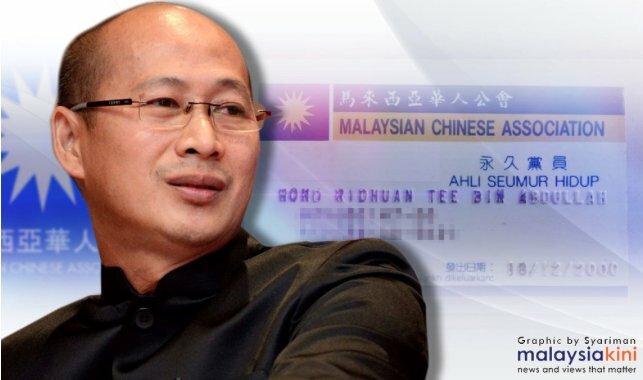 After having read his excuses for quitting MCA, Heng said Ridhuan was not fit to identify himself as a MCA member despite having joined the party 16 years ago. “I tried very hard to be in the party, although it took me four years to gain approval to join, as I want to propagate Islam, and do not want to be declared as being a Malay. While MCA has staunchly opposed PAS’ ambitions of implementing hudud, the party said it is not an extremist party nor an ‘enemy of Islam’. The party’s organising secretary, Yoo Wei How, said this in responding to allegations by the controversial scholar Ridhuan Tee Abdullah, who has announced his resignation from the party earlier today. “MCA has never been and will never be an extremist political party. That is why when Ridhuan applied to be an MCA member 16 years ago, MCA did not reject him just because he is a Muslim. “So stop accusing MCA of being ‘an enemy of Islam,’,” he said in a statement today. He added that MCA’s membership is open to all Chinese Malaysians. Earlier today, Ridhuan said he is leaving the party due to MCA’s objection to PAS president Abdul Hadi Awang’s Private Member’s Bill on hudud. He said he had previously joined MCA because he wanted to retain his Chinese identity despite his conversion to Islam, and because he wanted to act as a bridge between the Chinese community and Islam. He lamented that his intention was not only unappreciated but the party perceived Islam as a threat. “I do not want to bear the sins of being a party which is an enemy of Islam. Hence, I announce that I am quitting from the MCA. Controversial academic Ridhuan Tee Abdullah has announced he is quitting MCA as a result of the party’s stand against PAS president Abdul Hadi Awang’s Private Member’s bill regarding hudud. When contacted by Malaysiakini, Ridhuan who had been a MCA lifetime member since 2000, said he decided to quit the party due to recent developments over hudud issue. He explained that his initial intention to join MCA was to show that although he had converted to Islam, he still retained his identity as a Chinese. 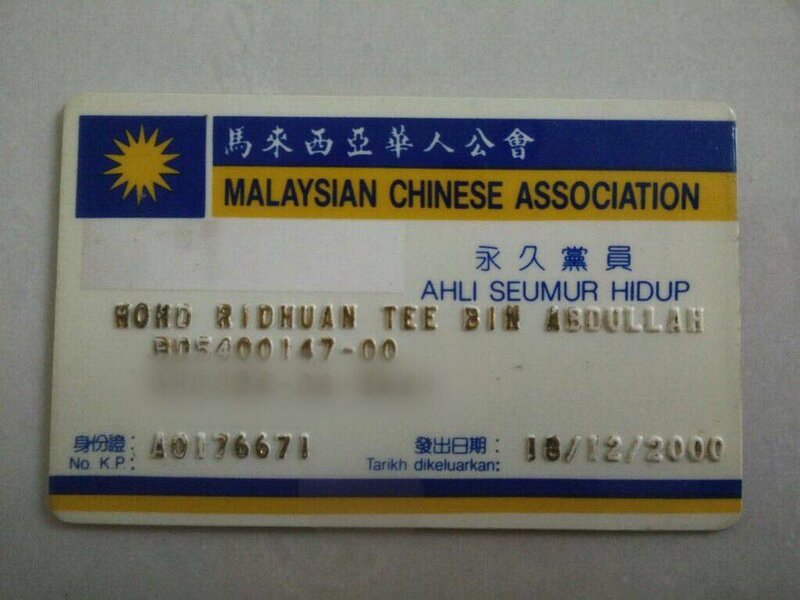 This entry was posted in Uncategorized and tagged MCA, member of MCA for 20 years ridhuan tee, Ridhuan Tee. Bookmark the permalink. 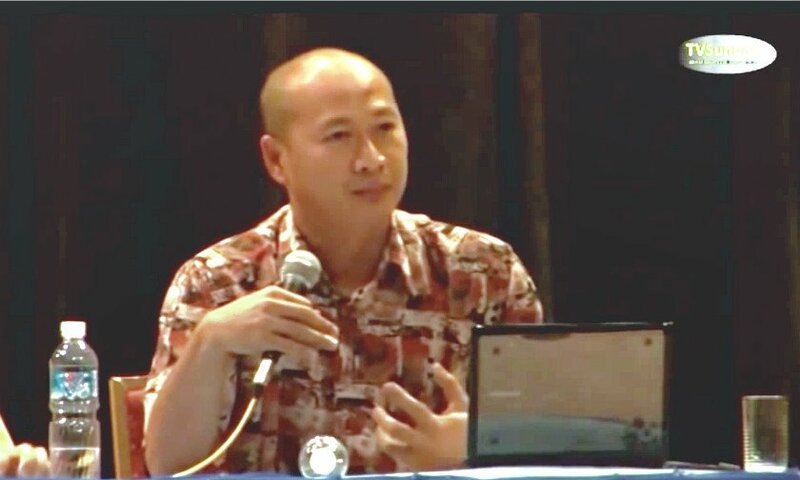 2 Responses to Ridhuan Tee, rejected by the Chinese, unwanted by the Malays…member of the MCA for 20 years! in history there never was lack of traitors in Chinese especially. this is no surprise at all! on watch out of such scums!